Well spring has sprung, but I wouldn’t know it from looking out my window. There’s more snow outside right now as I’m writing this than I’ve seen during the entirety of this winter. At least I can gaze at this picture and pretend the seasons have cycled on. 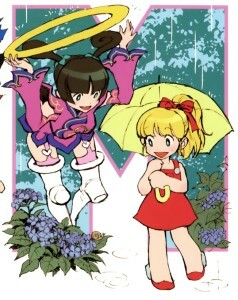 From the 2012 Capcom Girls Calendar, here’s classic Roll enjoying some rainy day scenery with June from Star Gladiator. Though rarely shown together, these two have crossed over quite a bit. 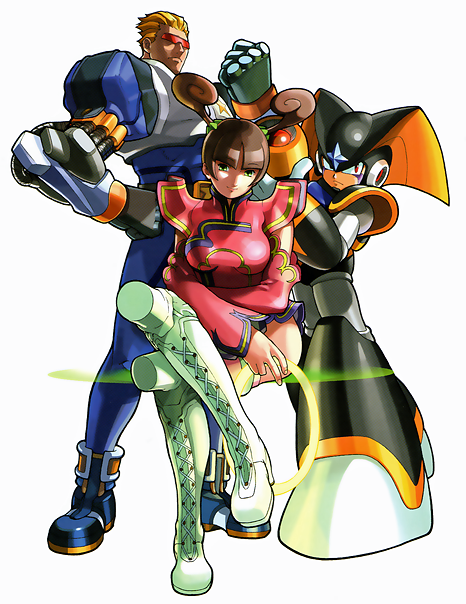 Back in the late nineties to early 2000s, Hideki Ishikawa drew several art pieces of Roll with June-inspired ponytails (example 1, example 2), while June herself has been seen hanging out with Forte and Captain Commando on the cover of CAP! magazine. 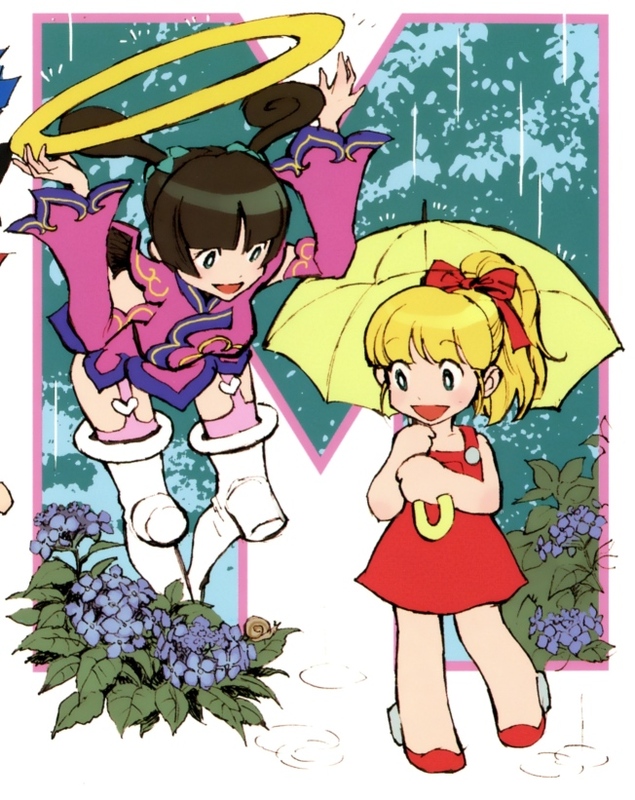 The succession of images gives an impression of the two sharing a distant sisterly relationship, with Roll kind of looking up to oneesan June. 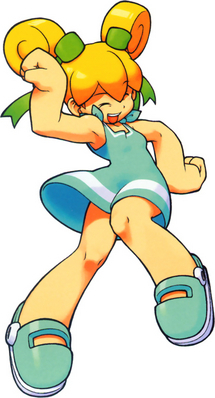 Glancing through my categories, I realize I don’t even have a “Roll” tag. Remind me I need to do some Spring cleaning on this here blog (however unlikely). 2 Comments to "Spring is here"
Nice….nice. Me likey. Thanks, #20! 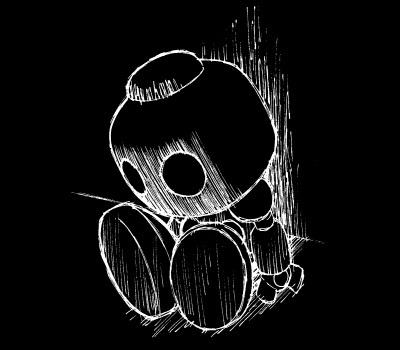 I’m in the process of ordering back issues of CAP! as we speak. « Every Hero Needs Support!